Wow it was harder this year to reach 43 so far. I'm really excited now for the full results tomorrow! Takeuchi went down so much! ^Unfortunately AiAi graduated this year (today), so she wouldn't be eligible for next year's poll. Yay Maopin is on the rise. But damn poor Take-chan... there are so many girls now so it must be tougher competition. I think it speaks well to the exposure other groups are getting that things seem so crowded near the middle of the list. I haven't kept up with the votes themselves since well before the preliminary results were posted, so I'm curious about what the raw data will look like for the non-MM members. Dancer, Singer and Group categories to be released soon. All other eligible members didn't receive any vote. culprit identified! Why are the elections always so much fun??? Oh god I'm loving this. I'm definitely coming back for the final results tonight. But I'm off to a party for now. Man I'm so happy we get the most important results soon. Well the whole point of the categories is to either pick someone who you think has been really consistent with their singing/dancing this year, or someone who you believe improved a lot in that category compared to previous years, so it's fine lol. I'm more surprised about Airi and Manaka taking 2nd and 1st place in Singing and Dancing despite being inactive in H!P for half the year lol, their fans are loyal. Even as a huge Maopin wota, I have to agree lol (I mean, I like her voice but... yeah, I was surprised lol, my Momopro should have ranked instead ). For the THIRD year in a row, Maachan has managed to grab the hearts of fans in H!O. 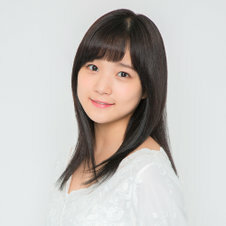 AKB48 has Sashihara Rino, and we have Sato Masaki. Maachan is now the first and only H!P member to rank 1st in the Hello!Online General Elections for three consecutive years. She was also voted for by 109 users, half of the total users who voted (218). You know, for all the shade that gets thrown at her, I think she's doing an okay job. Thank you all once again for joining us this year! And also please give thanks to Keaine who has a massive hand in hosting this election with me. The results wouldn't be shown this quickly if it wasn't for him! We host these elections in a bid to bring the H!O community together, to look back on the last 365 days of the year, and move forward into the new year with a positive outlook. We're a very loud and opinionated bunch of fans, but I think we're the best international fanbase H!P has, so thank you all for being a part of this community, and I hope with these elections, it will drive even more new fans to the website so we can have even more heated discussions haha. .
That's all! Hope you enjoyed it. How did your favorite do? And so, another year on H!O has come to a close, and another year opens. Hello!Project has been filled with Ups and Downs this year (pun intended), and I'm sure there will be even more exciting times ahead of us.